A man has been convicted of cannabis possession after police found £1,500 worth of the drug in a flat. 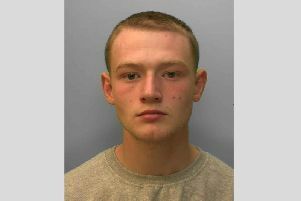 An Ashurst Wood man has been convicted of cannabis possession after police received information of his suspected drug use, according to Sussex Police. East Grinstead’s Neighbourhood Policing Team executed a drugs warrant at an address in Wray Close on Saturday, July 16 after acting on intelligence. Items including almost 500g of cannabis – split into separate bags with a total street value of approximately £1,500 – four mobile phones, a quantity of cash and associated paraphernalia were seized from the two-bedroom flat, police say. The occupant, Michael Savage, was later charged with possession with cannabis. The 33-year-old bricklayer pleaded guilty at Crawley Magistrates’ Court on Wednesday, September 14 and was fined £500. He was also ordered to pay £85 costs and a £50 victim surcharge. A forfeiture and destruction order for the cannabis and associated paraphernalia was secured. Sergeant Graeme Prentice, of the East Grinstead Neighbourhood Policing Team, said: “Local officers are working hard to combat drug use and supply in the town, and information from members of the public is vital to the success we have. Members of the public who suspect someone in their area is connected to drug use or supply, contact 101@sussex.pnn.police.uk or call 101. Alternatively, the public can call independent charity Crimestoppers anonymously on 0800 555 111.